Halloween Scavenger Hunt: Win Prizes! Do you like scavenger hunts? How about books? How about desserts? How about prizes? In order to celebrate the release of our dessert book, Bake, Love, Write: 105Authors Share Dessert Recipes and Advice on Love and Writing several of us authors are offering a scavenger hunt with lots of prizes! 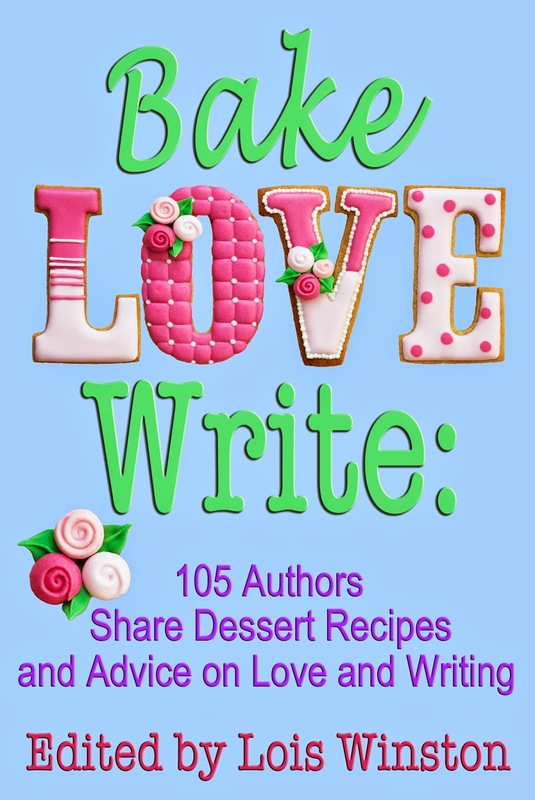 From October 6th through the 23rd, over 30 authors featured in Bake, Love, Write: 105 Authors Share DessertRecipes and Advice on Love and Writing are hosting a Halloween Scavenger Hunt. Here’s how it works: Participants visit the website or blog listed for each featured author to find a Halloween graphic hidden on one of the website or blog pages. The more sites you visit, the more chances you have to win. There are over 60 prizes with multiple winners. The list of prizes and the dates they will be given away is here. Authors participating include: Lois Winston, Brenda Novak, Caridad Pineiro, Jessa Slade, Kathryn Jane, M.L. Guida, Skye Taylor, Cathryn Cade, Victoria Adams, Sharleen Scott, Kathleen Kaska, Erin Farwell, Daryl Devore, Cynthia Luhrs, E. Ayers, Chantilly White, Helena Fairfax, Molly MacRae, L.C. Giroux, Stacy Juba, B.V. Lawson, Ruby Merritt, Kay Manis, Ashlyn Chase, Kitsy Clare, Elizabeth Rose, Liese-Sherwood-Fabre, Sloan McBride, Elaine Joyce, Debra Goldstein, Barbara Phinney, Alicia Dean, Haley Whitehall, Terry Shames, Melinda Curtis, Lynn Cahoon, and Renee Field. Here’s what you need to do: On October 6th, visit Sloan McBride’s blog where she’ll have all the information posted, including links to the authors' websites/blogs and a link to a page to type all the answers. If you want to have a handy reminder, you can also download the page of authors, websites/blogs, and for typing your answers here. The page will give you the authors’ names and links to their websites/blogs where you’ll search for the Halloween graphics. Rafflecopter will be used to determine prizewinners. * Tip - you can find one of the Halloween Graphics right here on Barefoot on the Beach. Here's the IMPORTANT part -- once you've filled in your answers, you must email the document to Sloan at sloanmcbride@gmail.com. She’ll review the answers and will enter your name the number of times that corresponds to the number of sites you visited and provided the correct answers.